Green-haired Japanese part-timer dressed in layered jackets, leopard shirt, distressed denim skirt, fishnets and platform sneakers. 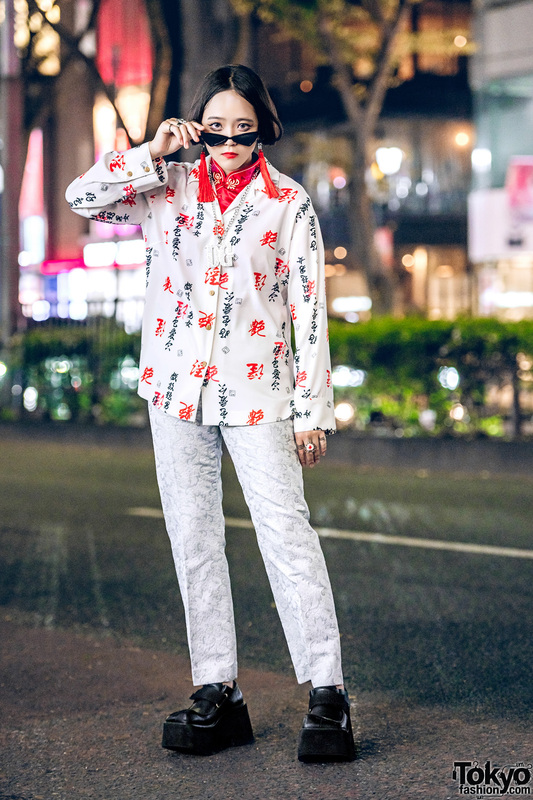 Harajuku girl in kanji print shirt over mandarin collar shirt, white patterned pants, platform shoes and accessories while out and about on the street. Harajuku teen sporting a blunt bob and distressed fashion style while out and about on the street. 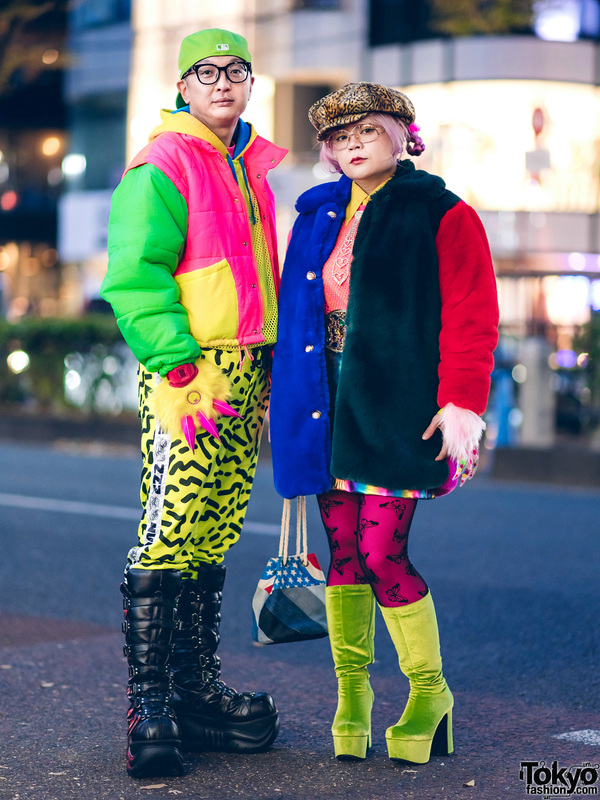 Japanese duo sporting casual layered street styles while out on the Harajuku street.